While a business plan is a vital part of the process for financing and treaty visa and green card approval, it is also a business “best practice” tool because it defines your company’s strategies, your market, your operations, your financial needs and your expectations. It offers insightful information often learned through the research portion of building your plan. It opens your eyes to an ever greater potential (when the business plan is properly written and researched). The development of the business plan requires intense research, rational, and proof. Most often -and commonly the most important of all- is that your business plan is your company’s first impression! An investor, a banker, or an USCIS investigator has the power to say yes or no to your plan. A “yes” moves you forward, a “no” can stop you in your tracks. A well written plan is just that important. Therefore, it should be written by a professional. Business plan writing is not the time to experiment with your skills. Not when your business’s or immigration success depends on it. 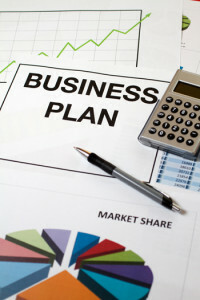 Lanick’s business plans are written first and foremost for the reader. That is because your plan, while being your blueprint, also needs to impress, inspire, and grab the attention of the one you are presenting it to! Lanick provides a comprehensive Business Plan Development Program. Whether you choose to write it yourself or have our qualified staff write it for you, you will be a part of a co-creation process that not only results in a well written business plan, but also affords you training and financing opportunities. Contact Us to learn more about Business Plans.